Clearly, I can't get enough of Deborah Lippmann Fantastical Collection from 2014. I've already tried water marbling using the set, and now I'd like to share a simple sponge manicure using 3 colors from the collection. 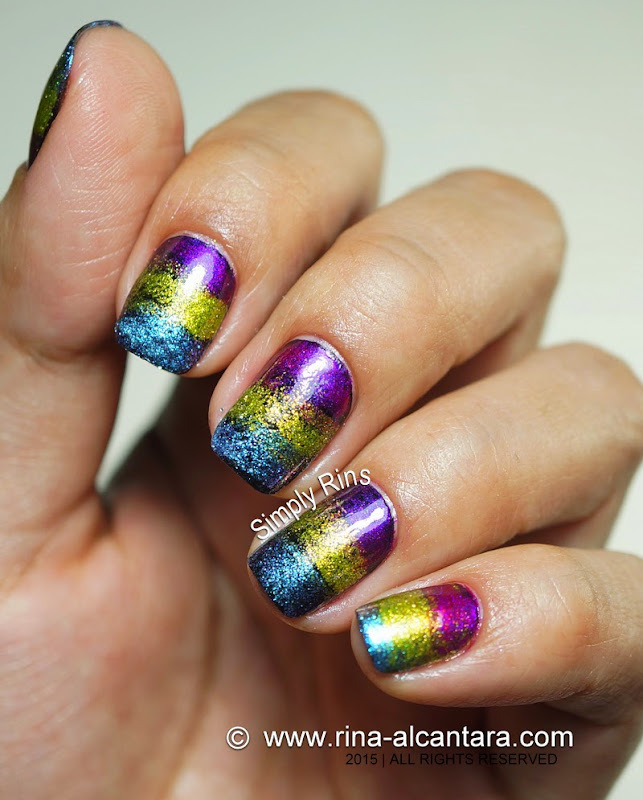 This is easier to do than water marble and I think this technique could result to more possibilities. I sponged over 2 coats of Deborah Lippmann Edge of Glory, a black creme nail lacquer. I chose 3 colors from the Fantastical Collection, namely Xanadu (blue), Weird Science (green), and Dear Mr. Fantastic (magenta). I bet anyone can do this because it is really simple. And the best thing is, you can go nuts with the sponging and it would still yield amazing results! You have to look at all those shimmer! 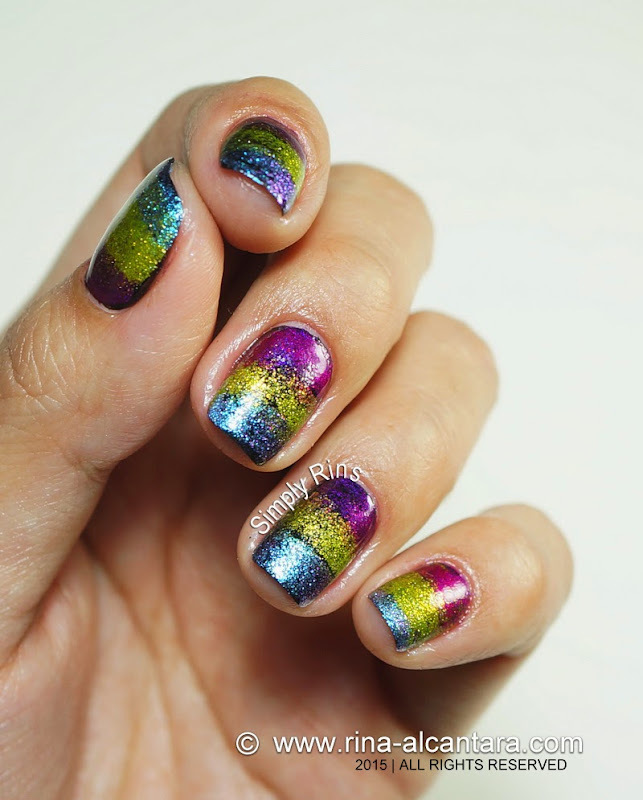 This manicure is surely a stunner. If you don't mind attracting attention to your nails, this is definitely something for you to try. And if you are into stamping, this would probably make a good background. If you're curious if it would make a difference if layered on white, I'd say yes. But the opacity of the polishes in this set would be more subdued compared to if you'll use a dark polish as base. If you like a more subtle look for your nails, layering over pastel is recommended. I'd probably try another look using the same technique soon. I had so much fun playing this collection. It's definitely one of the my favorites from Deborah Lippmann nail lacquers. I'm thinking of using more colors. I'd better grow my nails a little longer for that to work. I've started this year with shimmers and hoping it would shower my entire year with blessings. Give me a shout out in the comments below if you liked this manicure. Receive updates straight to your inbox by entering your email address below. Enter your email address to receive updates straight in your inbox.